Making the decision to buy a new home in Sioux Falls is both exciting and intimidating. There are a lot of factors that go into purchasing a new home. Because there are so many factors at play, many first-time home buyers may not know where or how to start the home-buying process. Before seeking out a realtor or visiting homes for sale, the first step you should take towards buying a home is figuring out how to get the mortgage process started. Prior to beginning the mortgage process, it is important to do some early research to help you get a feel for the market in your area. How quickly do homes sell? What is the median price range of the kinds of homes in Sioux Falls that you would like to live in? Note changes in the asking price of these homes – do they decline with time? Do they increase? 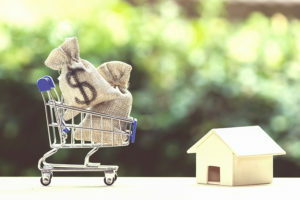 Having an idea of the market that you will be shopping around in will help you figure out when you should begin the process of buying a new home. How Much Can You Actually Afford? Do not define how much you can afford. Define how much you can actually afford. Many people seek mortgage calculators out online, plug in their down payment and salary and assume that they can afford that monthly mortgage. It is important to factor all of your expenses into the equation. Utilities, car payments, Internet, entertainment, childcare, student loans, pet expenses, and all other various costs of living need to be factored into your overall budget. It is usually recommended that you look for a home that is no greater than five times your annual income (after taking the expenses listed above into consideration), assuming that you are putting 20% down. To determine how much money you can actually put towards home, the next step in the mortgage process receiving prequalification for a mortgage. Seek out a mortgage banker. He or she will ask you certain financial questions. In addition to getting prequalified for a mortgage, it is important to be pre-approved for credit. This process involves providing various financial documents like a W-2, bank account information, paycheck stubs, etc. Once you are prequalified and preapproved, your lender will take that information and tell you how much the bank is willing to lend you to put towards a home purchase in Sioux Falls. While there are more steps in the overall mortgage process, these are the steps needed to begin the mortgage process. From here, you will be able to find a realtor in Sioux Falls, shop for a home within your price range, and make an offer. Once you have undergone a home inspection, you will be able to work with a mortgage banker to select what kind of loan you would like. There are many options available depending on a home buyer’s priorities; keeping monthly payments as low as possible, making sure payments are fixed, and choosing a loan knowing that you will be selling the home in a few years are all options to consider when deciding on a mortgage.